Before we get into this, it’s best to figure out why turmeric is such a buzzword amongst health conscious foodies today. Commonly used in Indian cooking, turmeric is a spice lavishly used. Indians have been using it in everyday cooking for millennia, and yet its curative and therapeutic powers have only just come to light in the Western world. 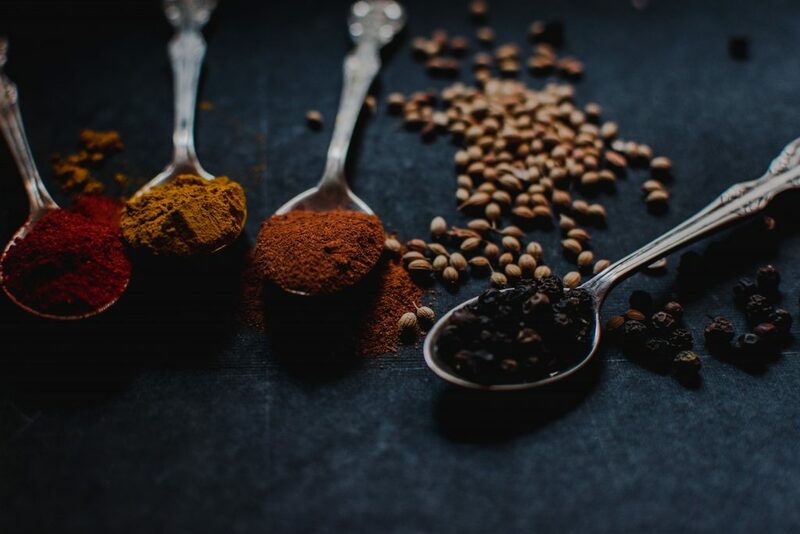 Don’t think many Indians are even aware how unknowingly they have been building their immune system from the environmental harshness by merely adding spices to cooking. 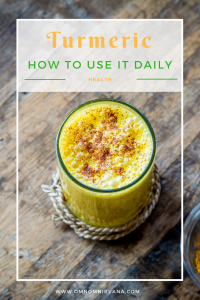 Adding just two teaspoons of turmeric to your food will give your health a boost of many minerals and vitamins such as manganese, iron, vitamin B, fiber, copper and potassium. You can make many dishes with turmeric. All you need to do is simply add a teaspoon or two to your regular dishes. As it is essentially flavourless, you can add it to stews or casseroles and even pies. Adding a tsp of turmeric to salt, pepper and lemon makes a basic marinade for fish, chicken or any meat. Make any style of curry, it does not necessarily have to be Indian. You can add turmeric to Thai curries, chillies and even broth for making soups. You can even use turmeric at breakfast: make your regular scramble eggs bright and healthier by adding some turmeric to it. You can also make turmeric rice, noodles or any stir-fried vegetable or dish and give it the extra splash of colour. This is one of the best ways to consume turmeric. Make a turmeric tea by boiling some milk with cinnamon and honey, a detox drink of turmeric and lemon water, or even add it to cocktails and smoothies! Turmeric mixed with gram flour or rice flour and milk makes an excellent exfoliator for skin. You can also make a homemade turmeric face mask for glowing skin and treat acne by mixing turmeric, yoghurt, lemon juice and honey. If you have a cut or a bruise mix few teaspoons of turmeric with plain water, make it into a thin paste. Apply this to the wound for it to heal faster. Turmeric has medicinal values which is why adding it to your daily diet will help your body fight against ailments and keep you healthy. The active agent in Turmeric is called ‘curcumin’, which has anti-inflammatory properties. This helps to reduce inflammation of the muscles and joints which causes pain or swelling. The anti-inflammatory properties of curcumin can also be beneficial to keep pain caused by Rheumatoid arthritis in control. Some research indicates that the analgesic and anti-inflammatory properties found in turmeric is comparable to aspirin. Turmeric can therefore help reduce headaches and other body pains. Turmeric is considered to have anti-bacterial and anti-fungal agents that help fight infection in open wounds and cuts. Applying a thin layer of turmeric paste on cuts helps them to heal faster. The magic ingredient curcumin in turmeric also acts as an anticoagulant – which means it is a natural blood thinner. Consuming turmeric helps to maintain blood pressure and reduces the risk of hypertension. Turmeric stimulates the production of bile by the gallbladder. Bile helps to eliminate harmful toxin and rejuvenate liver cells. Drinking a detoxifying drink of lemon, ginger, honey and turmeric in the morning will help improve your bile production. Turmeric can be helpful for overweight people struggling to lose weight. Consuming a teaspoon or two of turmeric with water or milk helps burn excess fat by increasing your metabolism rate. As mentioned earlier, Turmeric detoxifies the liver naturally, which is responsible for fat metabolism. As metabolism speeds up, calories burn faster. Turmeric is considered a natural skin brightening and lightening agent. Its application on the skin with milk and gram flour helps to improve skin texture and get an even bright tone. The anti-inflammatory property of turmeric removes excess oil and opens clogged pores which cause acne and pimples, while its anti-bacterial property kills acne-causing bacteria. Turmeric has antibacterial, anti-fungal and antiviral properties which help in killing various bacteria and fungus which are responsible for causing illnesses like cold, flu etc. 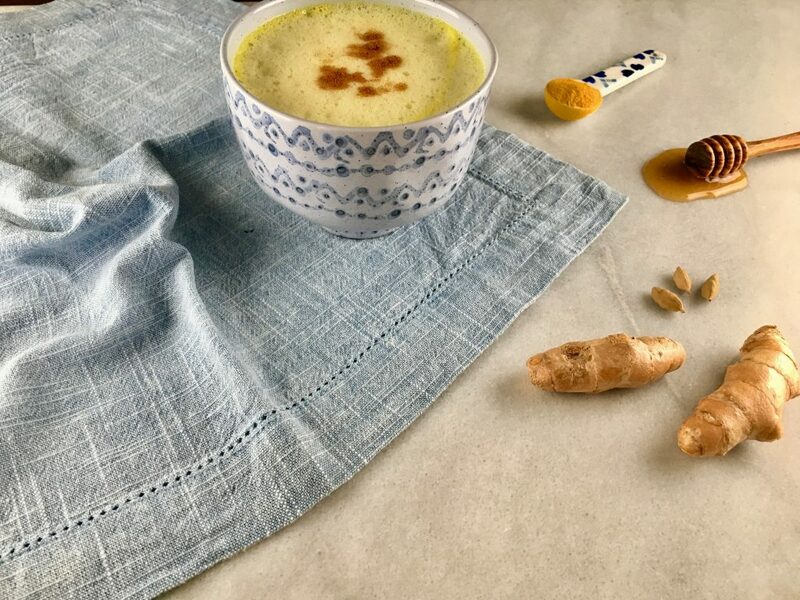 Drinking a glass of turmeric milk (more better known as golden milk these days) is a natural way to improve your immunity. It also helps in reducing sore throat when you are down with a cold. Research has proven that curcumin helps to improve mental disorders such as depression, anxiety and stress due to its anti-inflammatory, antioxidant, neuroprotective agent.Drinking some warm turmeric tea helps to alleviate mood swings and calm nerves. As you can see, this unassuming little spice has amazing properties that can help improve your health and wellbeing. All you need to do is incorporate it in your life as an everyday natural multi-vitamin shot by following some of the tips shared above. Add this ‘Golden Spice’ to your daily life for a better, happier and a healthier you! PIN THIS by clicking the image below! It is! I have as a morning shot with lemon, ginger, tumeric and cinnamon and have seen far less bloating. If turmeric makes you break out/you have an allergic reaction, then maybe it’s best not to have it. Perhaps a supplement such as curcumin would work better? Alternatively, ginger & cinnamon goes a long way in combatting PCOS as they’re great anti-inflammatory ingredients. I talk about it in my post here. I’ve found a fat first diet also helps! I’m a huge fan of turmeric – usually in a homemade golden milk. I didn’t know about a lot of these properties though.